Dr. Zhang earned her M.S. in Capital University of Medical Sciences, Beijing, China and Ph.D. in Cellular and Molecular Biology at Hong Kong University, Hong Kong. In 2002, she joined the UCLA Immunogenetics Center as a post-doctoral researcher in the Division of Immunogenetics, Department of Pathology at UCLA and trained in the field of Immunogenetics and Histocompatibility Testing. In 2008, she became a board certified Laboratory Director in Immunogenetics by the American Board of Histocompatibility and Immunogenetics. 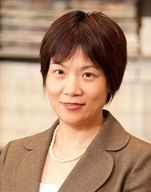 Dr. Zhang is appointed as Assistant Professor of Pathology in 2009 and serves as the Associate Director of the UCLA Immunogenetics Center providing clinical services and research leadership in the field of the Immunogenetics. Dr Zhang?s research is focused on elucidating the mechanism(s) underlying antibody mediated rejection caused by HLA and non-HLA antibodies and developing non-invasive immune monitoring assays using gene or protein expression patterns as biomarkers to measure the patient?s immune status, to optimize the immunosuppressive therapy and identify transplant recipients at risk of acute and chronic rejection to improve outcomes.